Today is Friday, which means that we, following our weekly tradition, have prepared for you a selection of the most interesting gaming news that we are ready to share with you in this digest. So sit back, read and do not forget that if you are interested in some particular news, you just have to click on its title and you will go to the full article. 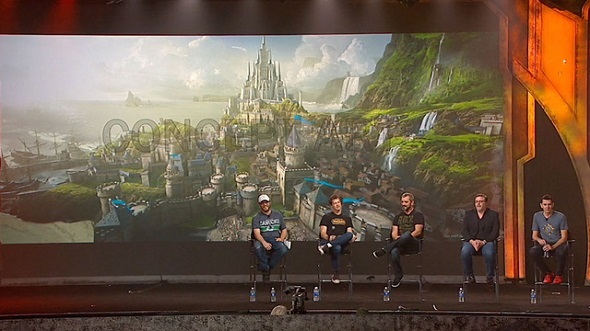 International BlizzCon 2013 expo has brought us the latest news about World of Warcraft movie. Thus, we have learned what the story of the future masterwork will be, and we have seen the first concept arts of the locations, on which the film's actions will take place. If you want to know what the filmmakers have also told about Warcraft movie, then read the full article. Although Battlefield 4 game has already been released for most platforms, its developers don’t cease to please us with the short videos describing the project. This week they have presented 2 trailers, which are briefly telling us about the types of vehicles available in the game, and the main multiplayer modes. In addition another Battlefield 4 video, called "A Quick Look At Battlefield 4 's Commander Mode", has appeared in the network. This trailer tells a bit about the Commander mode. The first episode of the anticipated Bioshock Infinite: Burial at Sea add-on has been finally released! And in order to celebrate this event, the project’s developers have published the DLC’s launch trailer, which tells a little about its story. Read more in the full article! Not only the next-gen developers, but EA company - the publisher of the many interesting video games - is also excited and looks forward to the release of next-generation consoles. And to demonstrate that the launch of the latter ones is very important for EA and the best games to run on PS4 and Xbox One are EA’s ones, this publisher has released a small but interesting trailer, which shows all of the projects that the company have developed for the next-gen consoles. Click on the link above and watch it. Killzone: Shadow Fall game has been already released in North America and in order to celebrate it, the developers of this shooter have published a small Killzone: Shadow Fall launch trailer. Besides it the leading foreign game portals have begun to post their first scores to this project. Which ones? Read in our full article. Although Watch Dogs game won’t be released until next year, its creators and the true fans do not leave us without some nice information about this action-adventure. So, on Wednesday Ubisoft's CEO told a little about the project’s development, and the next day a small but rather fascinating fan film of the project was published on the video channel of the fans. And the last thing we’d like to include in this week's game news digest is the fresh information about GTA 5 multiplayer. 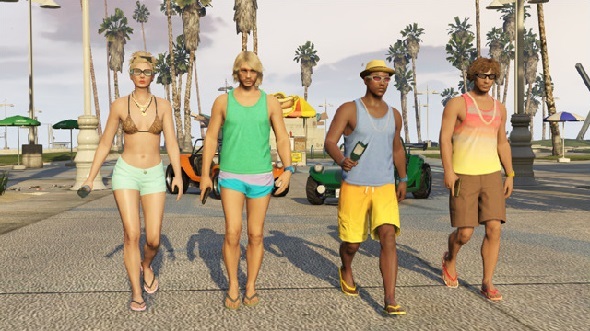 This week Rockstar has announced the first free GTA Online add-on entitled The Beach Bum, which includes a lot of new jobs and beach stuff for you. If you want to know more about this GTA Online DLC, then click on the link above. In addition we have a very interesting comparative review of the last instalments of two the most popular first-person shooters - Battlefield and Call of Duty. Do you want to know whether Battlefield 4 or Call of Duty: Ghosts is better this year? Then click on the link above.